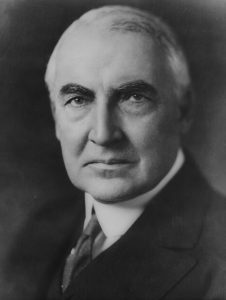 Warren G. Harding was elected President on November 2, 1920. This was the first Presidential election in which women voted and it was the first election where the results were broadcasted over radio. 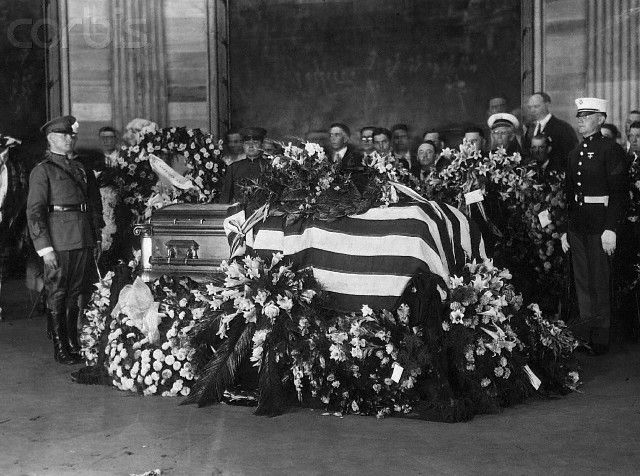 In the summer of 1923 President Harding went on a trip to Alaska which took a toll on him physically. 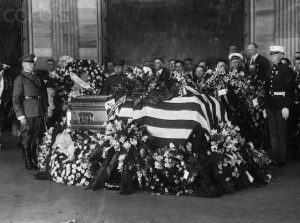 From Alaska he went to California where he became sick and died suddenly on this day, August 2, 1923. “On the night of August 2, 1923, I was awakened by my father coming up the stairs, calling my name. I noticed that his voice trembled. As the only times I had ever observed that before were when death had visited our family, I knew that something of the gravest nature had occurred. 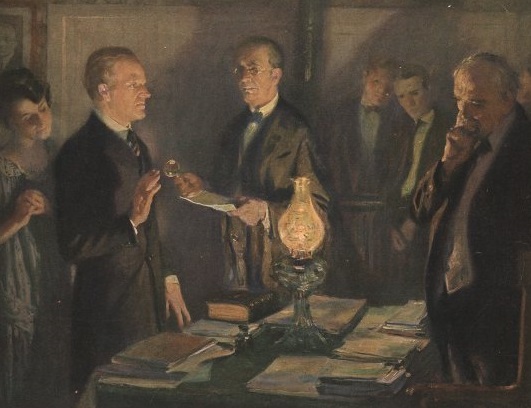 He placed in my hands an official report and told me that President Harding had just passed away. My wife and I at once dressed. Before leaving the room I knelt down and…asked God to bless the American people and give me power to serve them. My first thought was to express my sympathy for those who had been bereaved and after that was done to attempt to reassure the country with the knowledge that I proposed no sweeping displacement of the men then in office and that there were to be no violent changes in the administration of affairs. As soon as I had dispatched a telegram to Mrs. Harding, I therefore issued a short public statement declaratory of that purpose. Meantime I had been examining the Constitution to determine what might be necessary for qualifying by taking the oath of office. It is not clear that any additional oath is required beyond what is taken by the vice president when he is sworn into office. It is the same form as that taken by the president. Those were the words of Calvin Coolidge. Do you know what he did after he was sworn in? He went back to bed! He wasn’t called silent and cool Cal for nothing. Two words! That’s all he said the rest of the night. She lost the bet. This entry was posted in Uncategorized on August 2, 2017 by dsheridan.